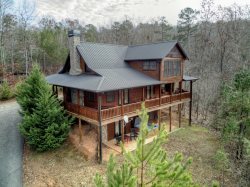 Amenities: Screened Porch, Hot Tub/Jacuzzi, Dishwasher, Washer, Dryer, Phone, Microwave, Coffee Maker, Keurig Coffee Maker, Satellite TV, DVD, Charcoal Grill, Stereo, Outdoor Fire Pit. Brand new large dedicated Home Theater room with 60 inch HDTV, surround sound, Blu-ray player and comfortable seating. TV`s: Living Room, Theater Room 60", Bunk Bedroom, Main Floor Bedroom 32", Master Bedroom 40"